I have been writing about Michael Kiwanuka since he played SXSW 2012, which is almost a year after he became a star in the U.K. Kiwanuka is the perfect example of an artist who should be a big-name mainstream artist in the U.S. but is somehow still unknown by most. 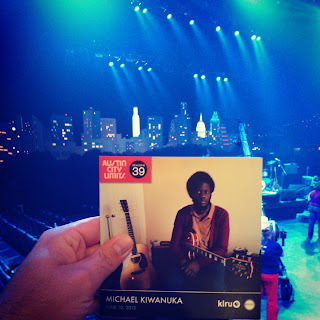 Lucky for those of us who were in attendance and those of you who will be watching Season 39 in the fall, the folks at Austin City Limits Television ARE familiar with Michael Kiwanuka and they were smart enough to book him. With only one full-length LP under his belt it's a pretty safe bet that this artist won't dwindle in obscurity for very long. His songwriting is in the singer-songwriter tradition, simple easy to remember notes with familiar melodies. His lyrics are sensitive but masculine. I would say that if you're a fan of artists like Ray Lamontagne or Damien Rice you'll probably enjoy Michael Kiwanuka. Last night's performance showcased Michael Kiwanuka's astounding voice. It's one thing to listen to the recordings and hear Randy Newman meets Van Morrison but it's even more impressive in person. Kiwanuka's speaking voice gives you no indication what his singing voice will sound like. It is also disarming to hear such a low, gravely, soulful voice coming from someone who is so short and young. I know his height has nothing to do with anything but I was still surprised to see that he is only about 5'6" or so in person. The set lasted about 90 minutes and consisted of 14 songs, 2 of those were covers and 4 were performed without the full band. I must say, I would love to hear Kiwanuka perform with string and woodwind players but last night it was a basic touring band with bass, guitar and drums. The cover songs were smart choices that showed influences but weren't super obvious. One was a Jimi Hendrix song that's not on his greatest hits collections and the other was a Townes Van Zandt song. 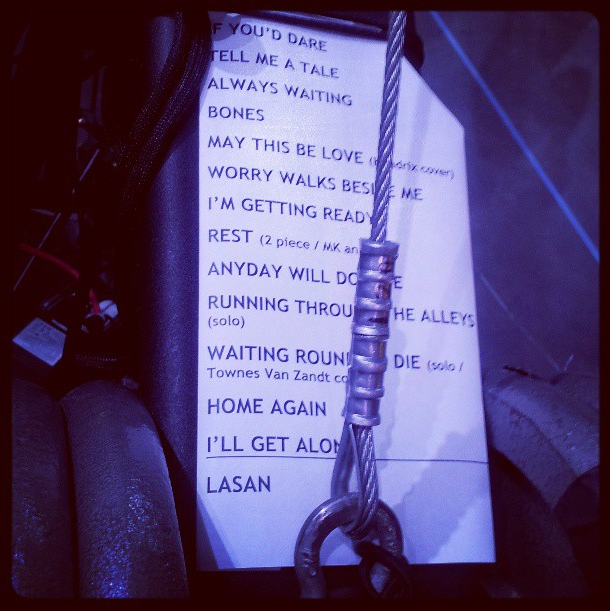 See the full set list below, courtesy of Shivvy. Keep an eye on your local PBS affiliate in the fall to see Michael Kiwanuka's performance on Austin City Limits Television.